I finished hand quilting this wedding quilt for my grand nephew, Jack. He is only 10 but my goal is to make a queen or king quilt for each of my 4 grandchildren and my sister's 7. They range in age from 13 to 2 weeks. I have 3 more to make. 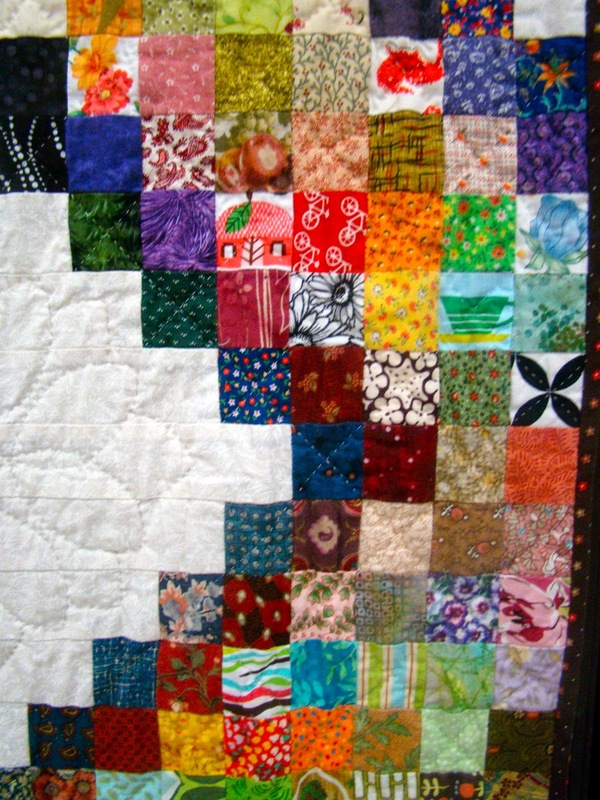 The white spaces were quilted with a traditional motif. For the rest of the quilt, I followed the diagonal points of the squares, quilting every other row. 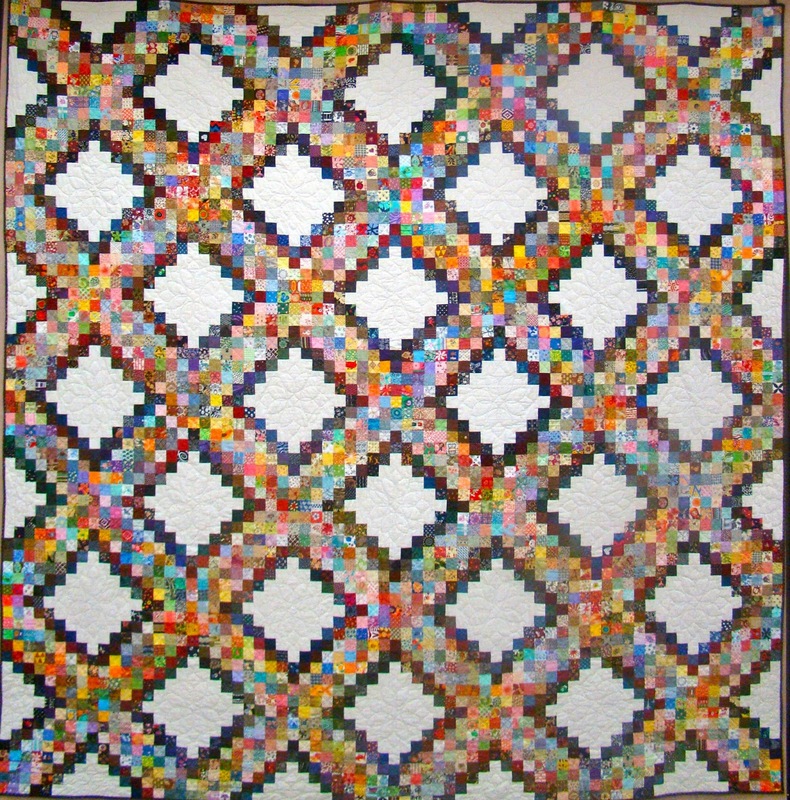 I thought I would quilt every row but I soon realized that I didn't have the stamina nor did I think it was necessary. 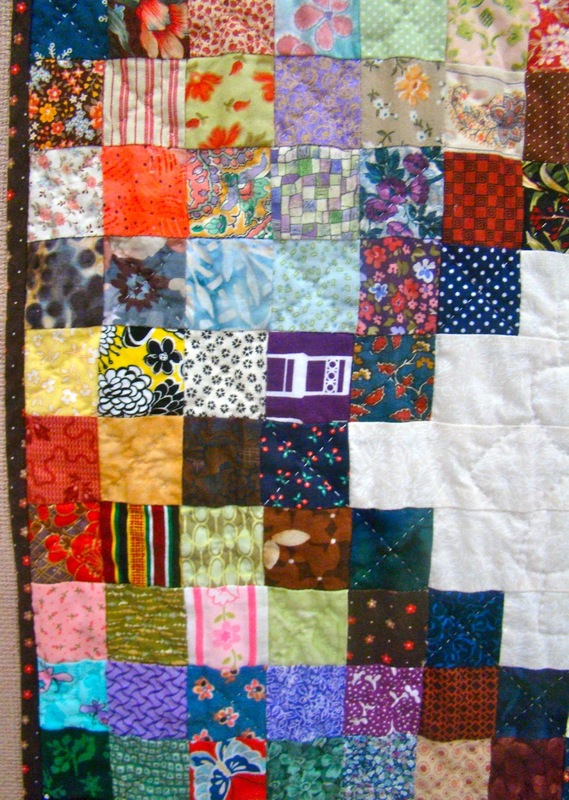 I read online when storing quilts, they should be folded on the basis to avoid permanent creases. They are also stored in fabric bags (never plastic). I use large complementary laundry bags from hotels. That looks fantastic! What a gorgeous quilt!